"Sanctuary is home to some of the most dangerous creatures to pull themselves from the pits of hell. 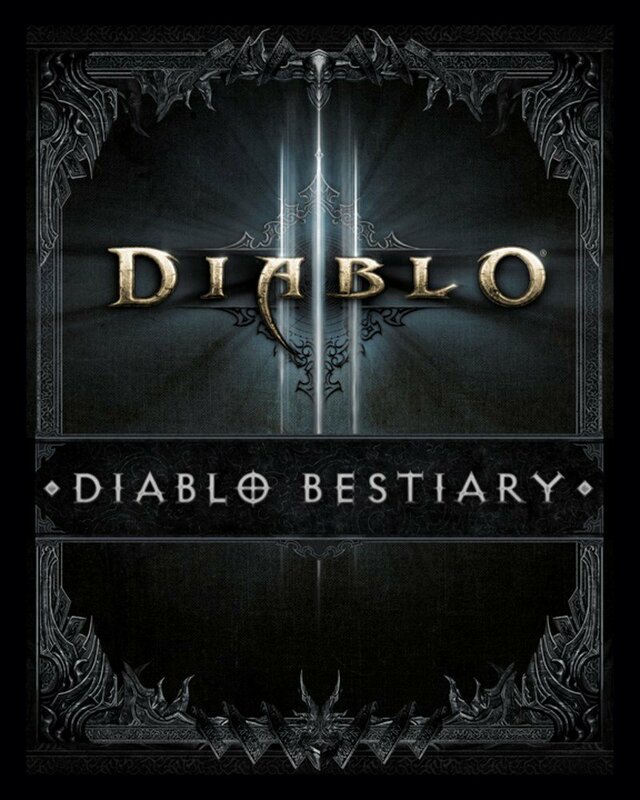 Tread lightly, and never fall prey to monsters with the Diablo Bestiary. A celebration of the corrupted beasts and grotesque enemies that players have slain across the franchise’s history, this book is the perfect companion to guide you through the next layer of torment." What do you think of this news, especially in light of the recent news of a new Diablo Comic series coming soon? Let us know in the comments! Challenge Rift Week 57 is live! If you are curious how Challenge Rift builds are chosen each week, you can view this official blog post! That's a placeholder cover lol. Both of the rifts are some awkward LoN Multishot combinations. Needed multiple tries to do them both, mainly due to pathing. If you follow the path I took you should finish them on time but probably not break a record. Oh, so Tyrael and Cain were close to those releases? Do you recommend the books? We know something is coming. Is it a new game ? is it a dlc ? It might be a dlc, but i doubt they would have let diablo 3 die like it has and go to maintanance mode if they planned a new dlc. Absolutely, very high quality. The pages are not standard print, but heavy and have rough edges intentionally. The lore in it is the best we have and is cannon. Plus you get some cool posters that come with each copy. Great! I'll order them. It seems they are soft books? Do not have hard covers? As far as I know it's only hardcover... then again just checked. The paperback copies are apparently falling apart. The pages are huge and heavy and they glued it to the spine, which is causing the pages to fall out. I saw for NA, Book of Cain hardcover is 12 new and Tryael hardcover for 15. Well worth the extra few bucks ~5 for a quality version. With how it's written, not chapter heavy, but divided into segments it's still a fun read to pick a section out here and there. Thanks! I'll look after the hard covers. Problem is that shipping is $20 for me so I might look if I find used versions from the same place. new expansion coming boys hype book before BlizzCon huge news incoming i'am ready! Probably DLC no sense 1 DLC necro and then exspansion. No good strategy marketing. Will be another DLC. Based on one of the early job postings for the new Diablo project they are hiring for, we know that they are working with a new game engine--since the job requirements mentioned experience with rendering technology not found in the D3 engine. They might be working on some type of additional DLC for D3, but the new project is an entirely new game. Thanks! Just ordered all three as hardcovers. So sure they aren't improving D3 graphics in a way they've done with wow expansions? They would never let diablo 3 die and go into maintainance mode like it has been if they planned to release more content for it. necro was salvaged assets from a canned expansion. Almost guaranteed. Though, it won't be a surprise if they do an update like some of the previous patches that added in an area for an act. I think act 1 and 5 didn't get a bonus area, not including the very small area of Leroic's mansion. The corporate policy of blizzard is DLC and no expansions because the game exist also on console . the console market does not provide for exspansion but work withc DLC. The expansion couls be so big it's stand alone. Ah, now I got what you meant. I still think it's how well they'd do expansion marketing. But yeah, probably dlc and future diablo some year.